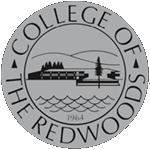 During the November 1st Board of Trustees meeting, College of the Redwoods reached a tentative agreement to sell its Garberville site to the Southern Humboldt Community Healthcare District for $1.1 million. Included in the tentative agreement were the conditions that the healthcare district provide a $50,000 nonrefundable deposit and pay all closing costs. The Garberville property was purchased by the College of the Redwoods in 2010. Since then, the District has invested over $1.8 million in the property--$208,136 to acquire the site and $1,596,174 in costs associated with improving the site. Recently, CR was approached by the Southern Humboldt Community Healthcare District, with an interest in purchasing the site to construct a hospital. The proposed sale price is less than the amount the District has paid for and has invested in the site. Enrollment and fiscal data for the site indicates that there has been and continues to be poor enrollment at the site, resulting in annual operating losses that have a persistent negative impact on CR’s district budget. The sale of the property would provide a benefit to both districts: the elimination of the on-going budget deficit for College of the Redwoods regarding the site, while making available to the Healthcare District real property that can be used for medical services, including a new hospital.CR has the option to lease back space for classes and will be reinvesting the $1.1 million in remodeling their two dorms on the Eureka main campus. With the tentative agreement in place, the District must now hold a public hearing to consider public comment. Thereafter, the Board may sell the real property to the Southern Humboldt Community Healthcare District by a unanimous vote of the Board.